Variant diversity, smaller quantities and ever shorter product lifecycles make it necessary to support personnel during manual assembly – for example with data goggles and pick-by-light systems. Interested parties will not only experience smart solutions and intelligent systems for manual assembly at the Motek international trade fair for automation in production and assembly from the 8th to the 11th of October, 2018. Confusion may arise where various product variants are assembled on a single line. Due to the current lack of qualified personnel, less qualified employees are frequently required to screw components together or bond them with adhesives. In order to assure that they correctly recognise the respective variant and assemble the right parts, smart tools have been developed such as data goggles which indicate where which component needs to be attached. Augmented reality at a tablet is also helpful in this respect – the next assembly step can be shown as an animation. Light signals provide assistance in selecting the right part. “Digital solutions of this sort prevent errors, accelerate the assembly process and reduce costs as a result”, sums up Motek project manager Rainer Bachert, who coordinates exhibitors and the trade fair program in the interest of practical benefits for users and other interested parties as an organiser at trade fair promoters P.E. Schall GmbH & Co. KG. In addition to procedures which have to be completed manually, Motek also focuses attention on automated assembly processes. Whether assembly robots equipped with clever algorithms, materials handling and feed systems, driverless transport, gripping system components or software for collision calculation are concerned – Motek 2018 will present lots of other new products. 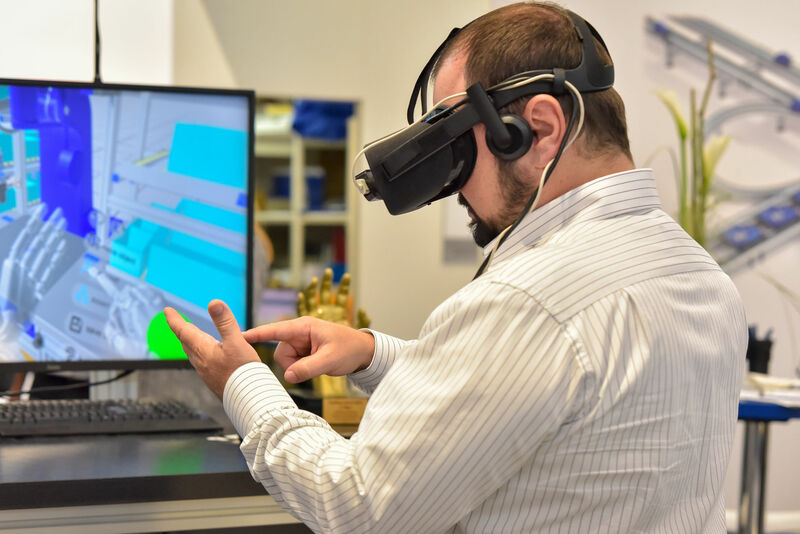 They all have intelligent interfaces in common, as well as the ability to communicate with each other and above all with the master control system – because automation and digitalisation are inseparably connected within the setting of Industry 4.0. Modern sensors and image processing techniques play an important role within this context, and are indispensable for real-time applications and data evaluation. Whereas two thirds of all available exhibition floor space was reserved in February, Rainer Bachert is now only able to offer a few vacant locations. The reasons for the popularity of the trade fair include its innovative character and its great significance as a practically oriented business and networking platform. Its alliance with the concurrently held Bondexpo international trade fair for bonding technology is also a plus for visitors as well as exhibitors. The layout of the trade fair is becoming aligned to an ever greater extent to the actual structures of routine daily manufacturing – a process which has gotten underway in recent years. This assures better orientation and less legwork. Roughly 40,000 visitors from more than 100 countries are expected to attend the event held on just under 65,000 square metres (700,000 sq. ft.) of overall floor space. An attractive supplementary program will ensure in-depth information regarding the latest trends and technologies – always with a view to best possible cost-effectiveness in actual practice.